My life with 4 boys can basically be summed up in 2 words - organized chaos - which has provided much inspiration for the content here on More Skees Please. I've always loved to write and being a mom gives me great material. I threw myself into the blogging world when Aiden was born (he's baby #2 by the way) to keep family and friends in the loop on his medical stuff. More Skees Please is an outlet for me. I write about being a mom, a wife, a friend. I vent about the hard times and share the good times. What you read here will always be real. Very real. Another huge part of my life that I discuss here often is my involvement with non-profit organizations. While I've always had a spot in my heart for helping other people, it wasn't until I had Aiden that I truly discovered my desire to be a part of something bigger. After leaving a full-time job in marketing to stay home with my kids, I began lending some of my free time to volunteer for Children's Craniofacial Association and the Ronald McDonald House Charities. Most recently, I've taken on the challenge of starting my very own non-profit organization dedicated to helping families touched by Apert syndrome. You can read all about apertOWL's mission on our website: www.apertOWL.org. I have been asked to share my family's story with all kinds of audiences over the past several years, so I guess I can add "public speaker" to my resume. 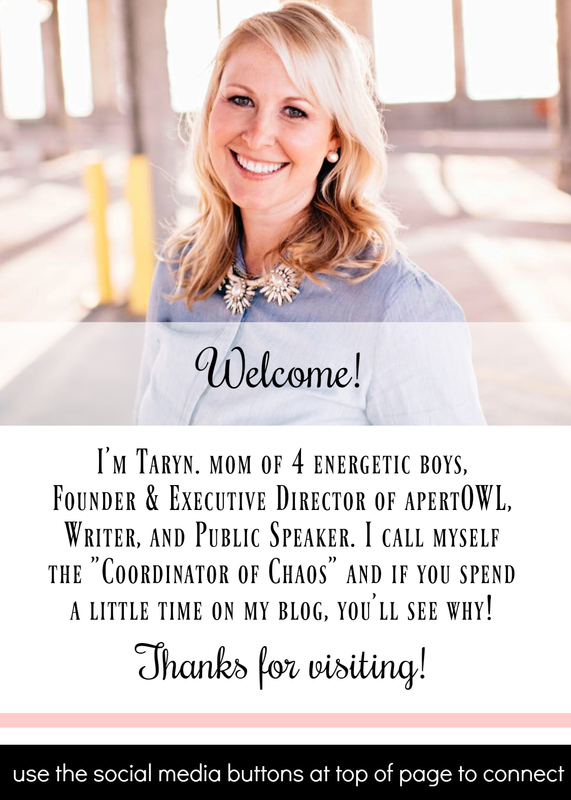 If you are interested in learning about my presentations and how you can book one for your school, church group, girl scout troop, book club, etc., click here. While volunteering my time with these wonderful organizations is extremely fulfilling, I'm going to be candid...it doesn't pay the bills. Luckily my husband's job does. But I would like to be able to once again contribute to our financial stability. One day, I hope to be a published author with a book I can see on the shelves of Barnes & Noble. Perhaps two or three. And along with those books, a reader-base that consists of more than just my family. (Not that they don't mean everything to me...but I'm just sayin'). I'm getting there...check out some of the places you can find my stuff here. 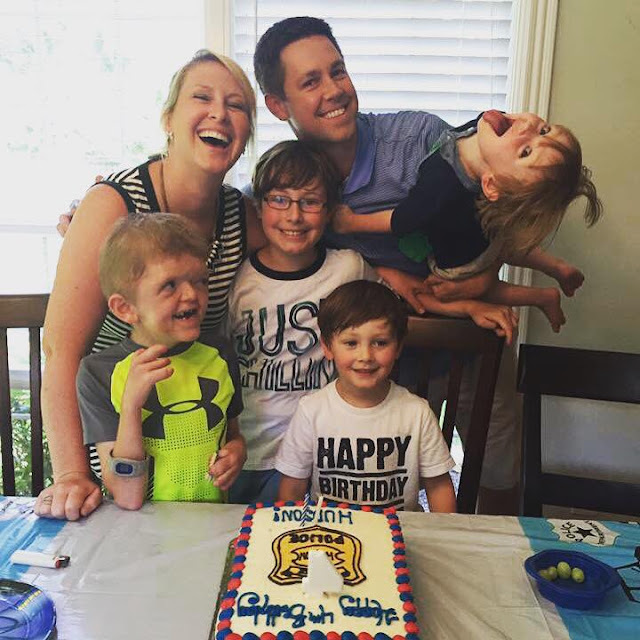 In the meantime, check out some of my favorite posts on everything from raising a special needs child to depression to the joys of raising boys. Want to contact me? Head on over here.